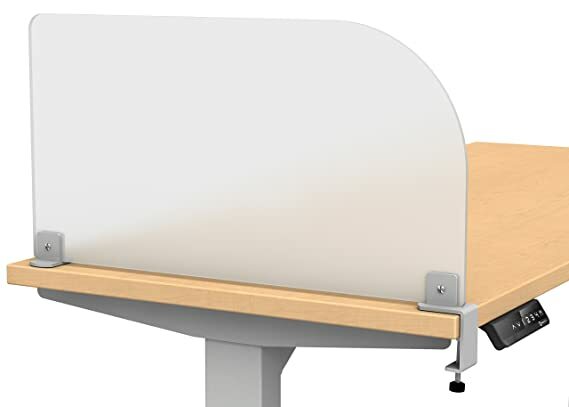 Fabric desk dividers are an easy and economical way to add privacy to offices, desks and tables. Perfect for providing desktop privacy, these panels come with easy to install metal clamps, no drilling into your desk or table required. 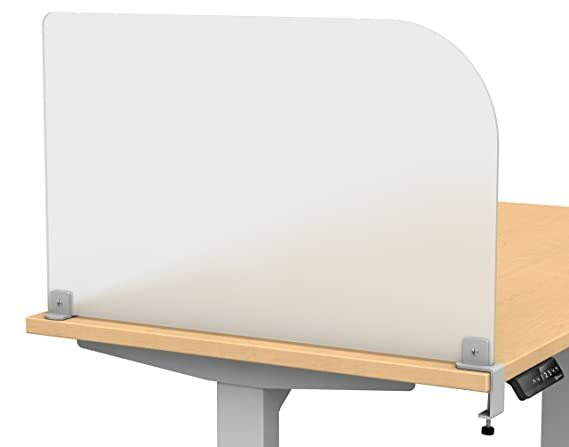 Fabric covered acoustic desk dividers are made of 1″ thick sound absorbing board material and can also be used as a tack board. Acoustic partitions are perfect for dividing space and turning freestanding tables into custom cubicles, room dividers and classroom dividers or call centers. Merge Works fabric panels are made in the USA. Ergonomic and flexible, Merge Works HighRise heavy duty electric height adjustable frame base, paired with the work top of your choice, allows you to alternate between sitting and standing throughout your workday with a touch of a button. Research has shown numerous health benefits associated with standing for as few as fifteen minutes for every hour spent on the job. Incorporating standing throughout your work day helps to burn more calories, increase circulation, and improve productivity and alertness. The easy transition between sitting and standing with the HighRise frame gives you the benefits of both worlds. 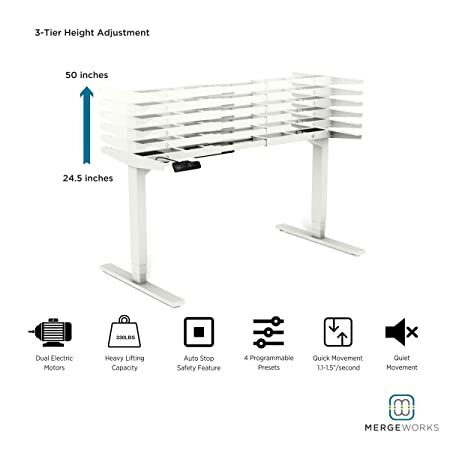 Merge Works Studio Desk Dividers are an easy and economical way to add privacy to your existing tables and desks. 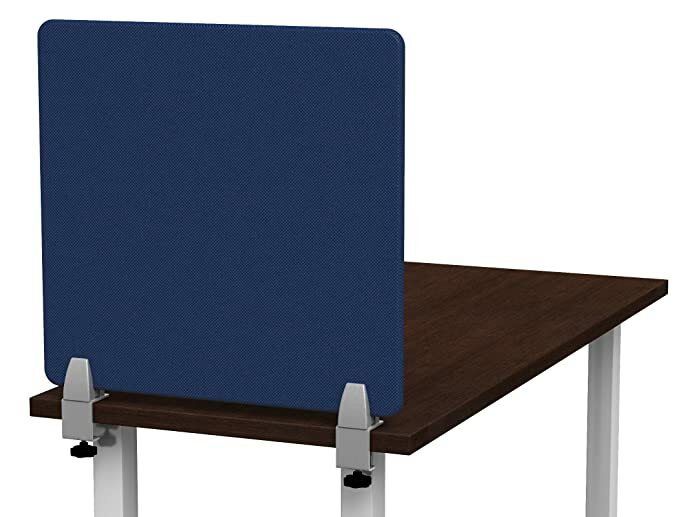 Quick clamp-on installation and compatible with any table or desk from 1/2″ up to 2-1/16 in thickness, Studio privacy panels make it effortless to turn freestanding tables into custom cubicles, study carrels or call center stations. Easy to install, Studio panels are removable and reconfigurable, no drilling into your work surface required. Available in several sizes, Studio frosted acrylic desk partitions add privacy to keep you focused and productive while updating the look of your office environment. Merge Works Studio Desk Dividers are an easy and economical way to add privacy to your existing table or desk. 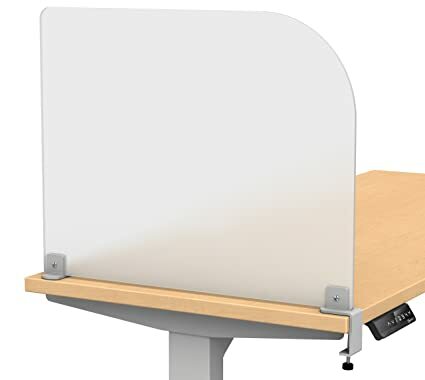 Quick clamp-on installation and compatible with any table or desk from 1/2″ up to 1-7/8 in thickness, Studio privacy panels make it effortless to turn freestanding tables into custom cubicles, study carrels or call center stations. Easy to install, Studio panels are removable and reconfigurable, no drilling into your work surface required. Available in several sizes, Studio frosted acrylic desk partitions add privacy to keep you focused and productive while updating the look of your office environment. 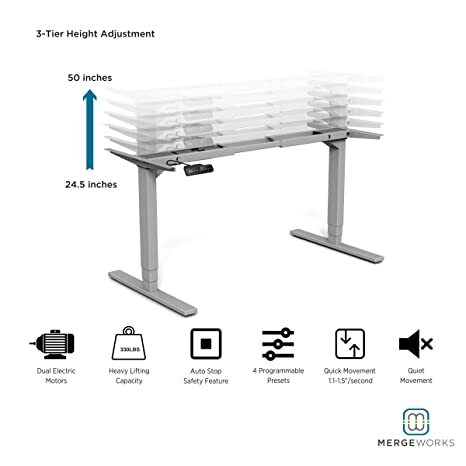 Merge Works Studio Desk Dividers are an easy and economical way to add privacy to your existing workstations. 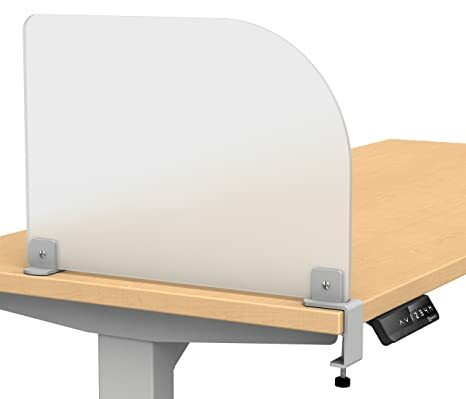 Quick clamp-on installation and compatible with any table or desk from 1/2″ up to 2-1/16 in thickness, Studio privacy panels make it effortless to turn freestanding tables into custom cubicles, study carrels or call center stations. Easy to install, Studio panels are removable and reconfigurable, no drilling into your work surface required. Available in several sizes, Studio frosted acrylic desk partitions add privacy to keep you focused and productive while updating the look of your office environment.